If there is one food/beverage item from that Potterheads know and love above all else, it’s Butterbeer! As we mentioned in our Gilly Water recipe post, we have another fun Harry Potter recipe! 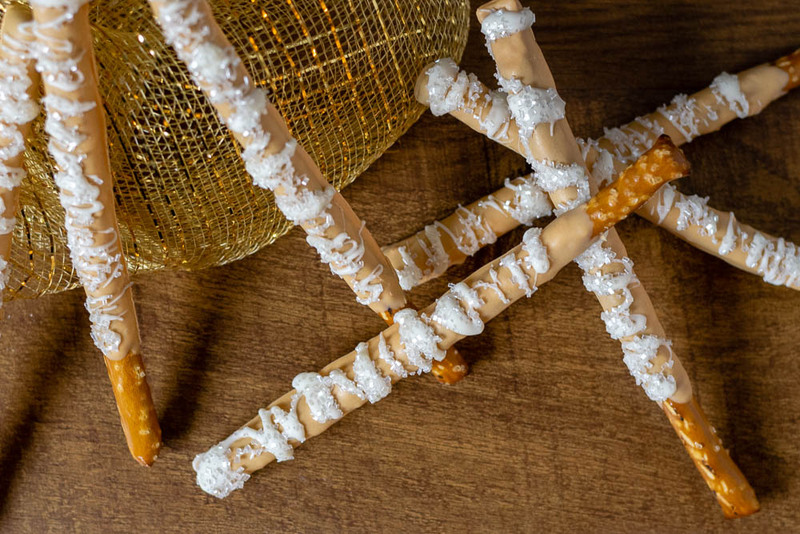 However, this isn’t just a Butterbeer recipe, we made Butterbeer Pretzel Wands! These tasty treats can be a little tricky but are worth the effort! They are especially perfect for celebrating Harry Potter’s Birthday which is today! Wands are the most important tool in the wizarding world. Here is a bit of interesting history about Ollivander from Pottermore, “Prior to Mr Ollivander’s proprietorship of the family business, wizards used a wide variety of wand cores. A customer would often present the wandmaker with a magical substance to which they were attached, or had inherited, or by which their family swore (hinted at by the core of Fleur Delacour’s wand). Mr Ollivander, however, was a purist who insisted that the best wands would never be produced merely by encasing the whiskers of a favourite Kneazle (or the stalk of a Dittany plant that once saved a wizard’s father from poisoning, or the mane of a kelpie a witch had once met on holiday in Scotland) in the customer’s favourite wood. These pretzel wands were somewhat tricky for us. In fact, we’ve never made a recipe as many times as we made this one to get it right. However, the end result was worth it! Do not try to do this with food coloring and flavoring. It makes the candy meltables seize. Also, melting butterscotch chips alone doesn’t work because once melted the mixture is not smooth. 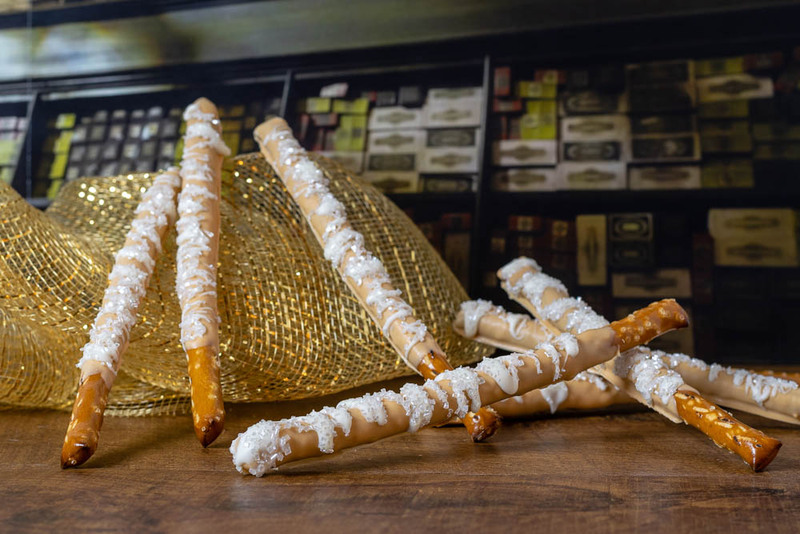 We hope you enjoy our Butterbeer Pretzel Wands! Be sure to check out our other Harry Potter inspired recipes! Is there something you’d like us to create? Let us know it the comments below or on social media using the hashtag #GeekEats! 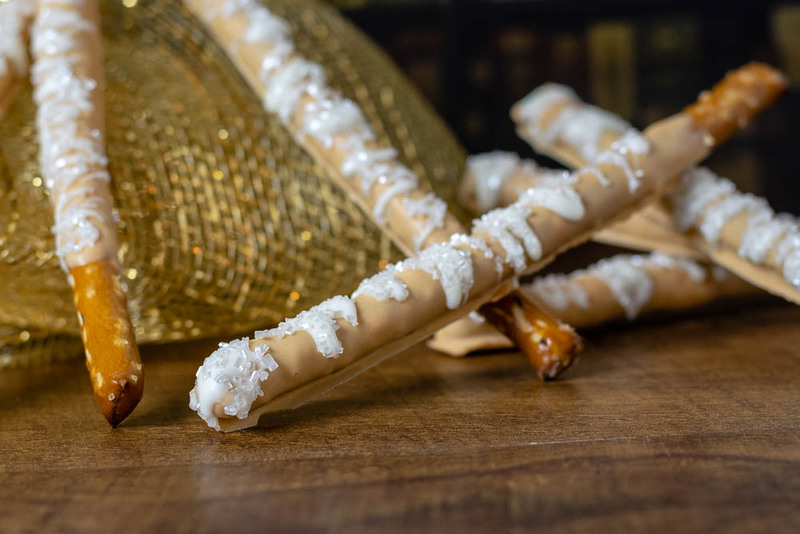 To celebrate Harry Potter's birthday The Geeks have created a recipe for Butterbeer Pretzel Wands! Not only are they visually appealing but they are delicious as well! Melt 3/4 of the bag of white meltables and butterscotch chips together per package instructions. Dip pretzel rods in mixture. Refrigerate 30 minutes until hardened. Using a spoon drizzle across pretzels. I’m printing this and trying it during the weekend!!!! 😀 Thank you! Yum these look delicious. I like the combo of sweet and salty.